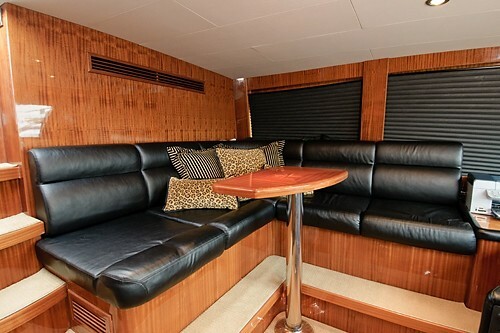 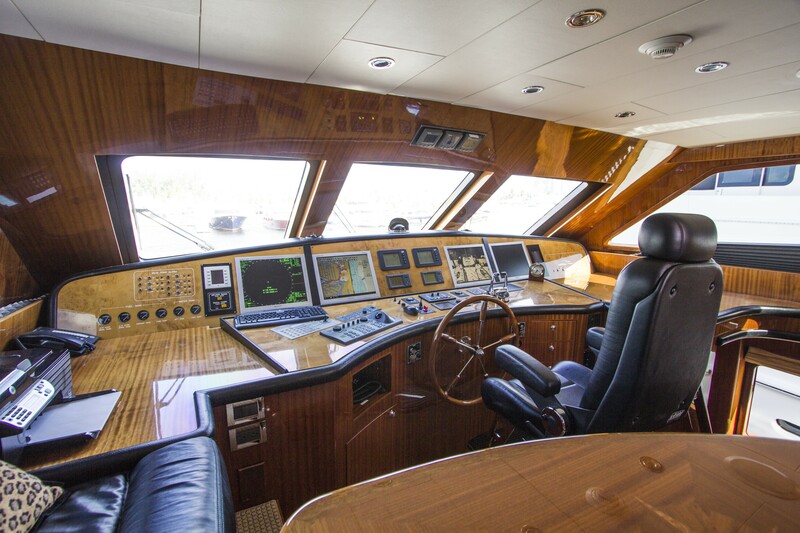 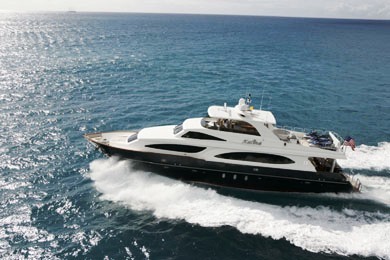 Luxury motor yacht LIMITLESS (ex da BUBBA, KATINA) is a 2005 Hargrave boat measuring 30.48m (100’) in length. 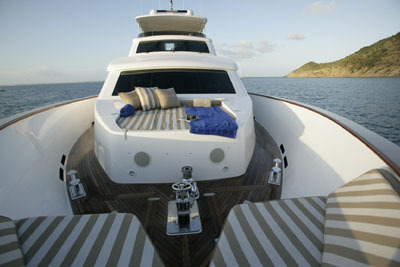 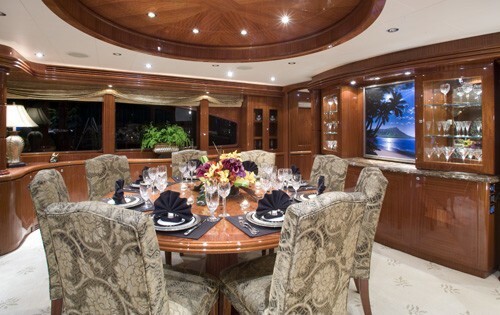 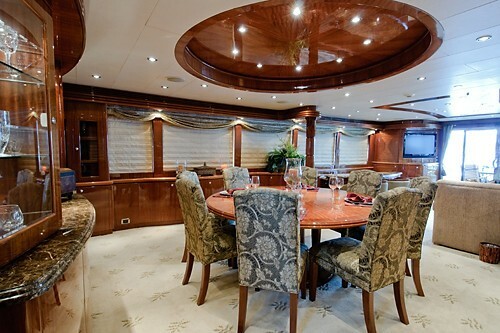 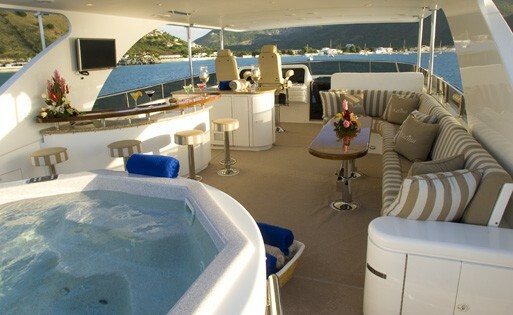 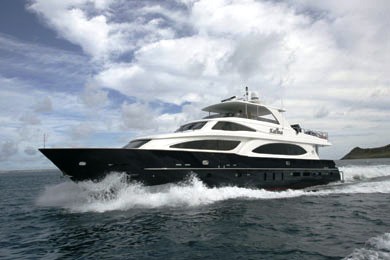 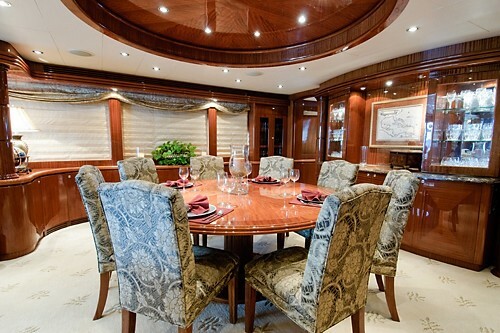 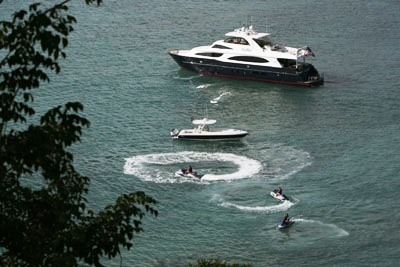 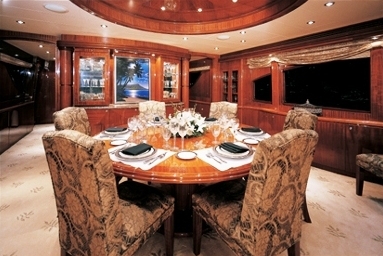 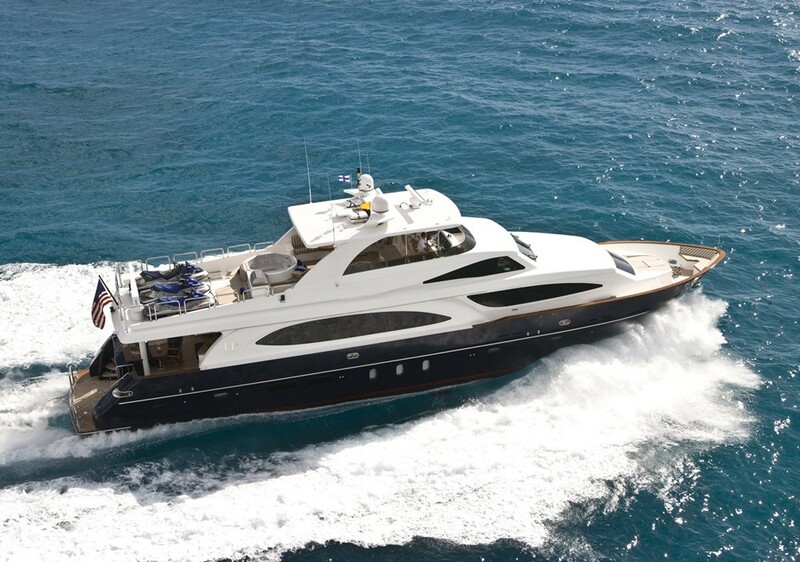 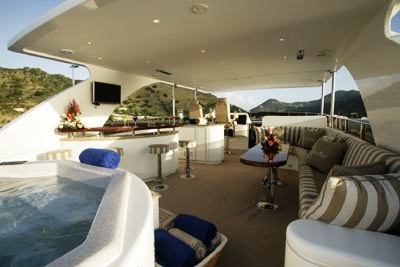 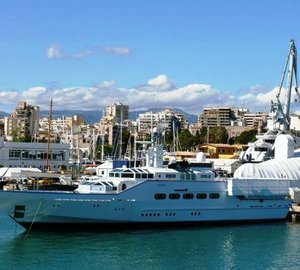 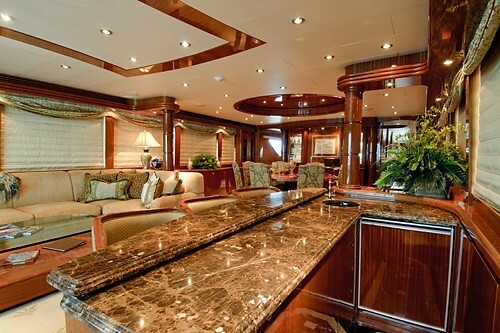 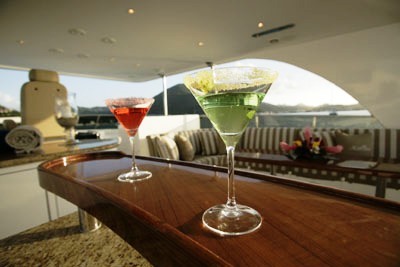 M/Y LIMITLESS is a modern charter yacht which is able to accommodate up to 8-9 guests in superior luxury. 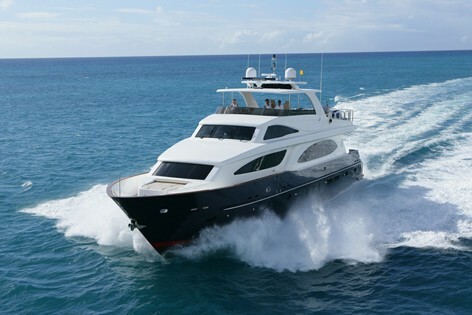 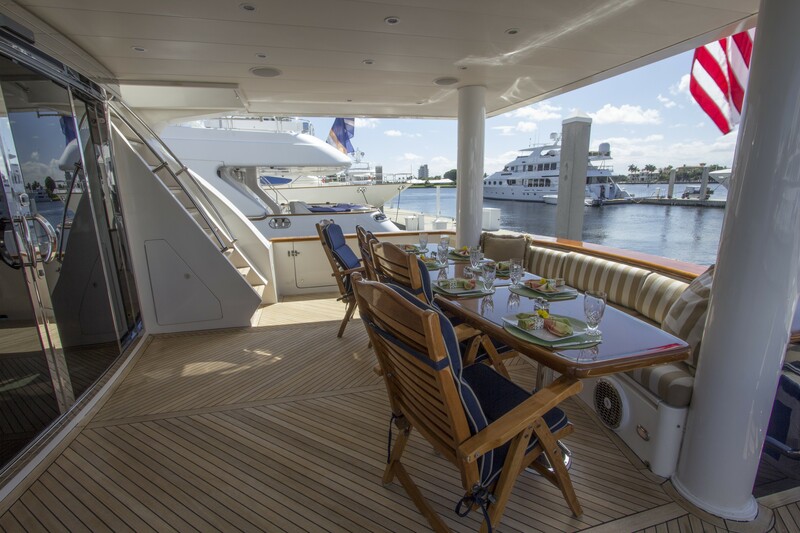 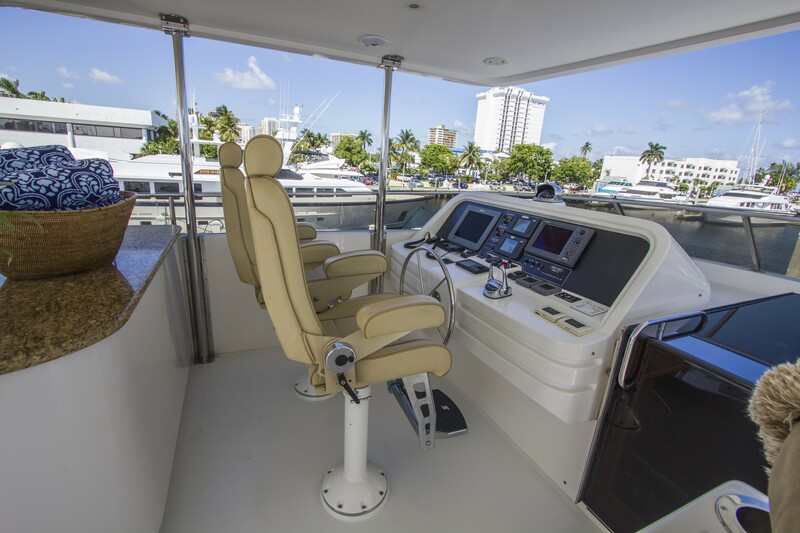 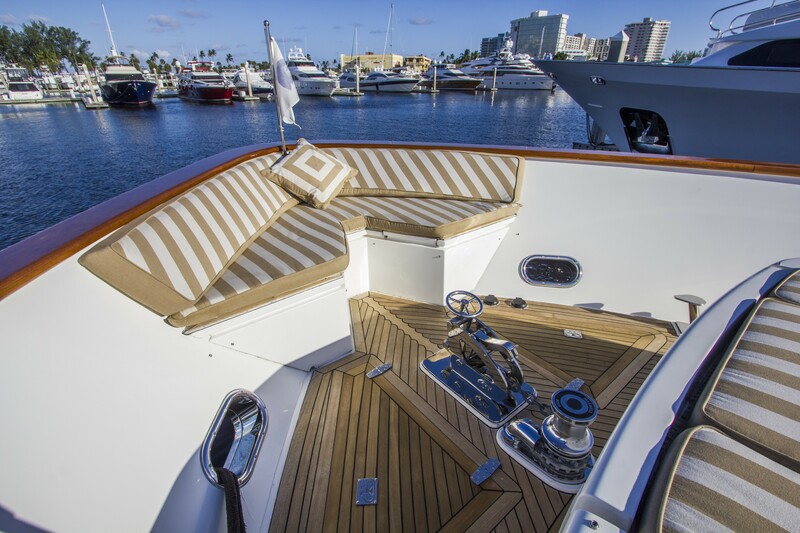 LIMITLESS is available for charter in both the Caribbean and New England American waterways. 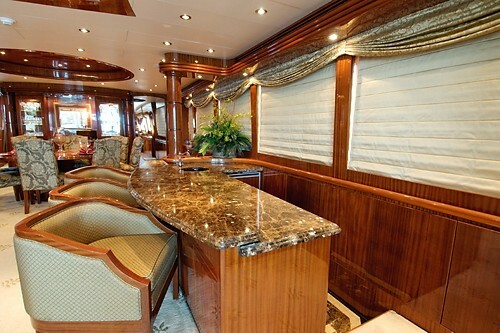 Full entertainment center: 42” Plasma TV, CD Player, Karaoke machine & coffee table; Formal Dining for 8 with raised ceiling over dining area; China Cabinets; Salon bar with 3 bar chairs, full wet-bar with sink, refrigerator, icemaker, and wine cooler. 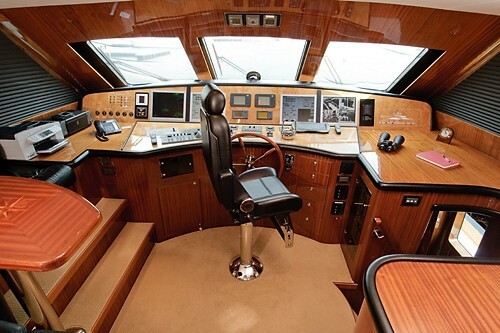 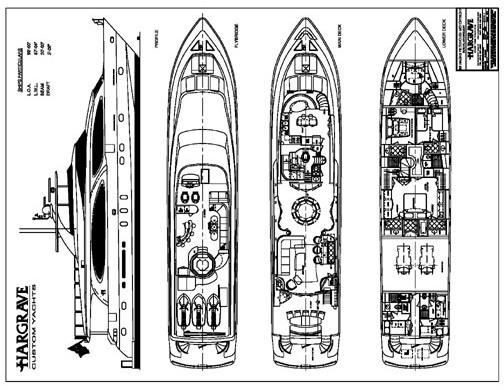 Forward on starboard companionway to port is a day head. 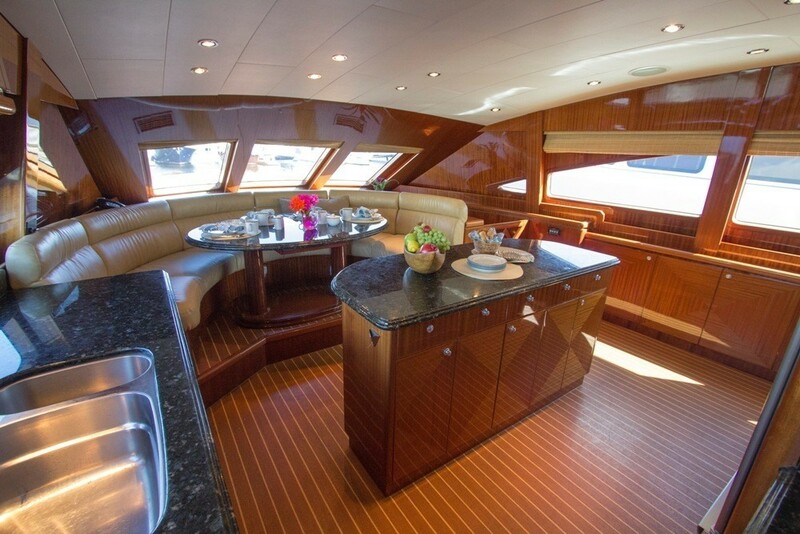 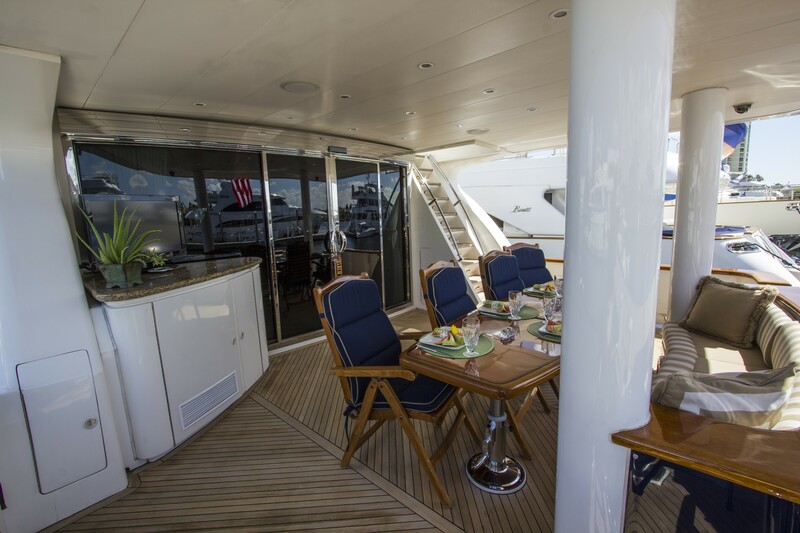 Also, there is a baby gate and pocket doors in the Dining room and Galley preventing the kids from the VIP stairs. 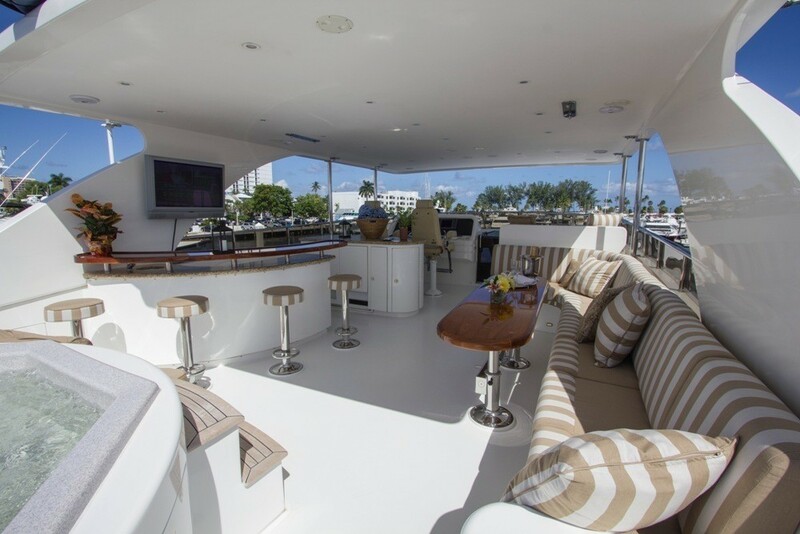 Covered and shaded, Alfresco Dining for 8; 26” Plasma TV with Crestron DSS System; small bar area with wet bar and refrigerator. 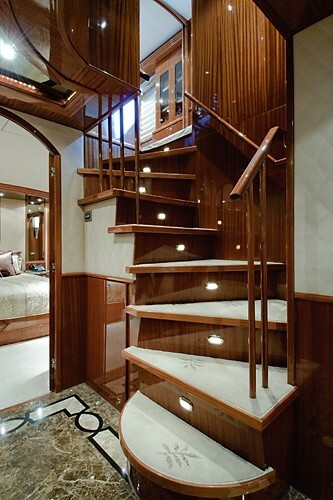 Easy access to swim platform. 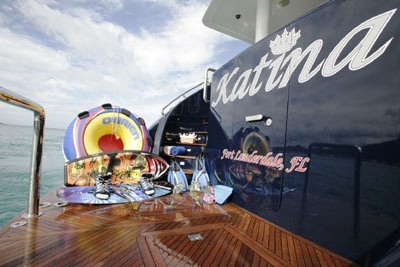 Baby gates leading to swim platform. 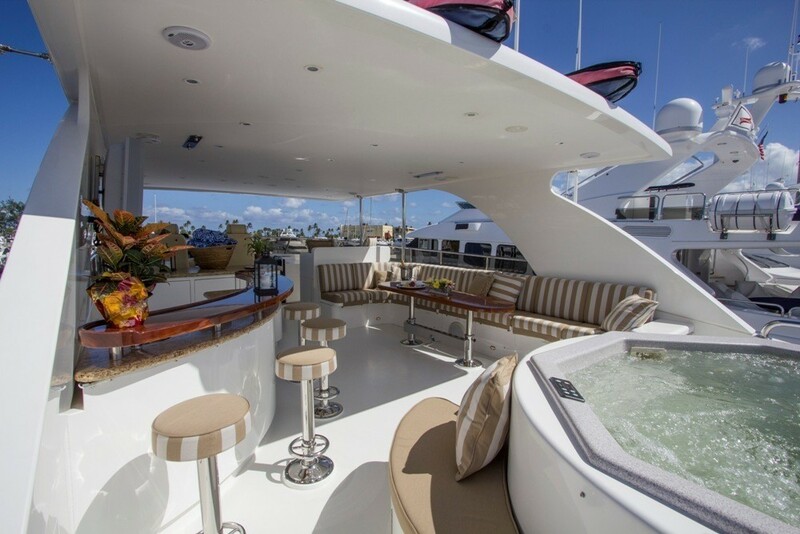 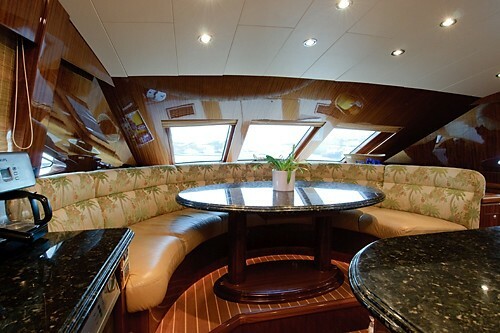 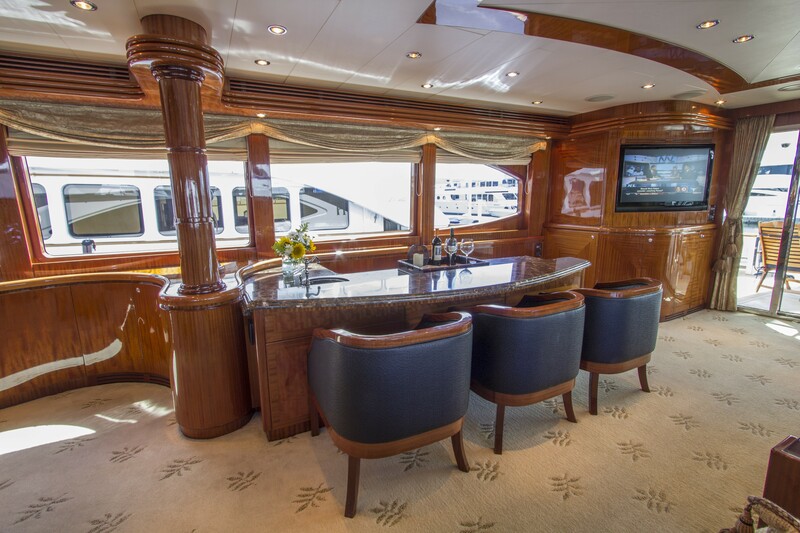 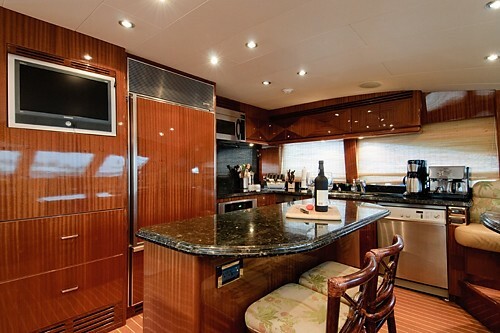 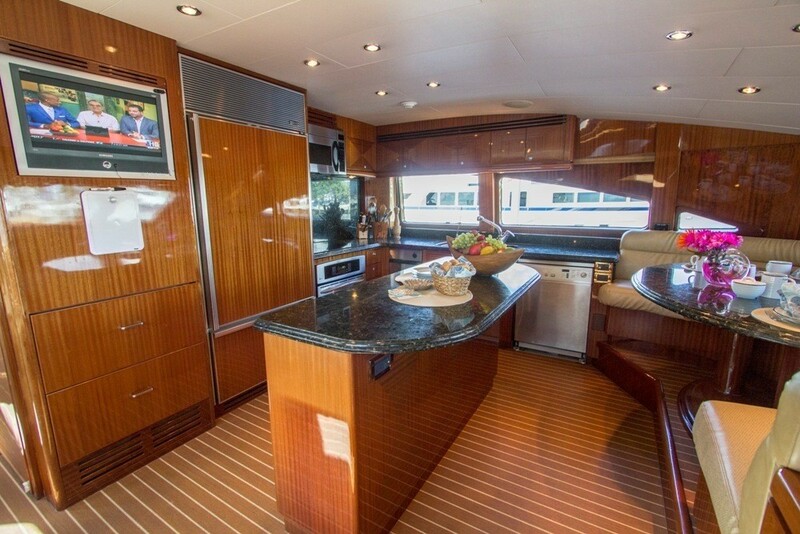 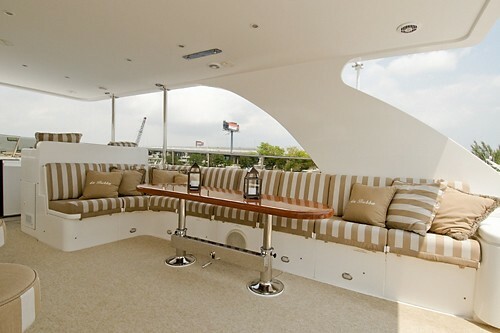 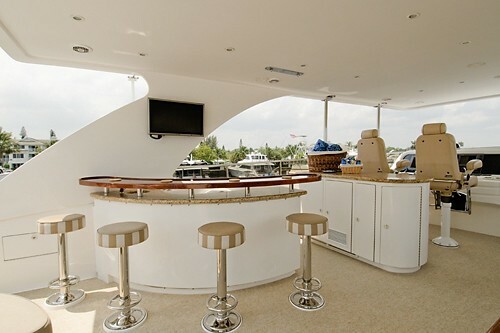 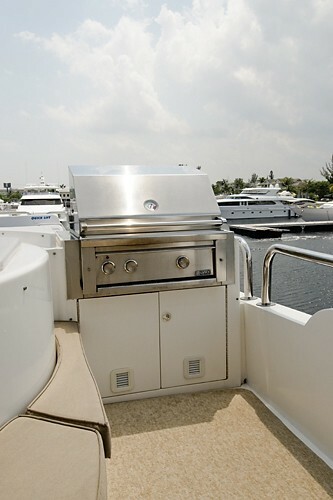 Helmstation, Bar with 4 bar stools, wet bar with refrigerator, icemaker, stainless BBQ grill; Hi/Lo table with seating; Spa Pool with seating and sun pads; Carpeted; Comfortable gated stairway to Aft deck. 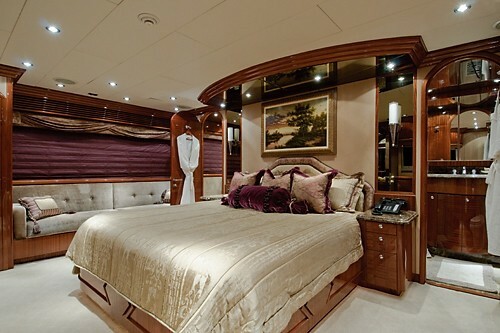 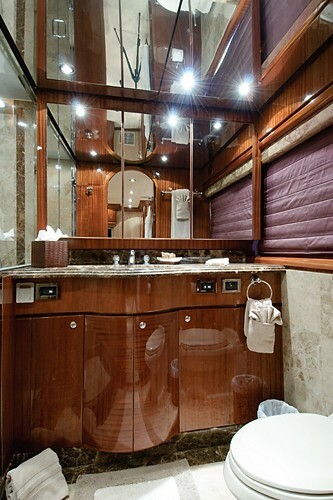 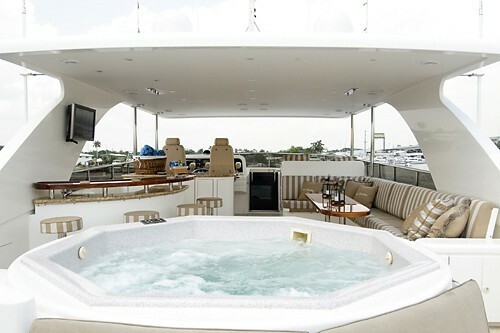 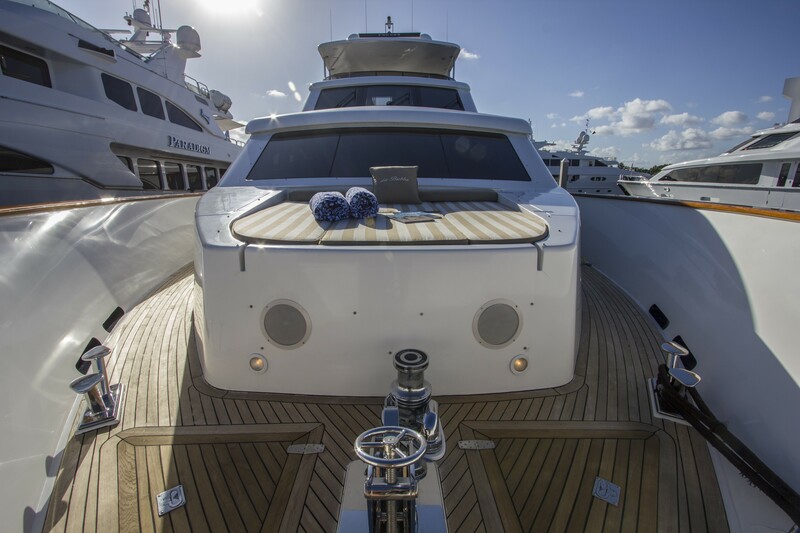 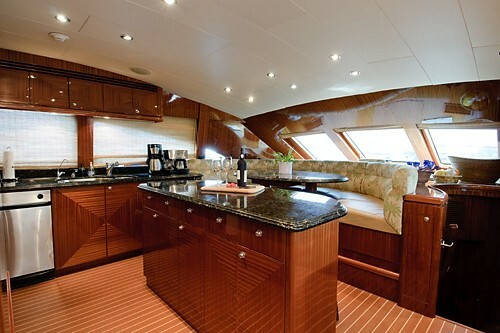 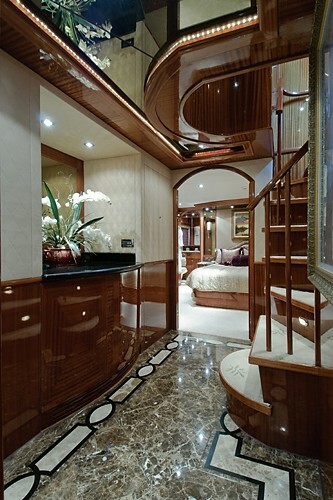 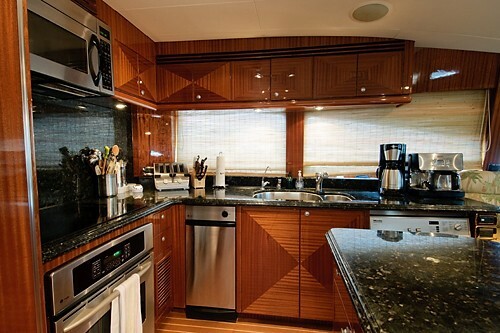 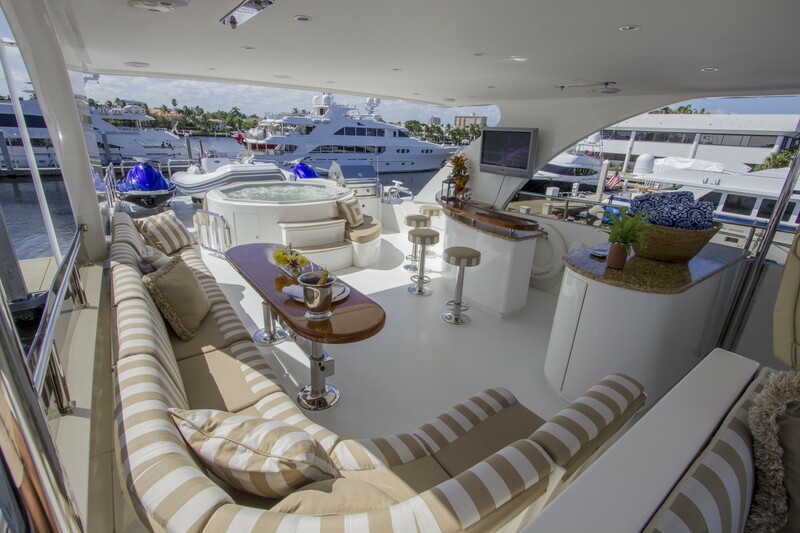 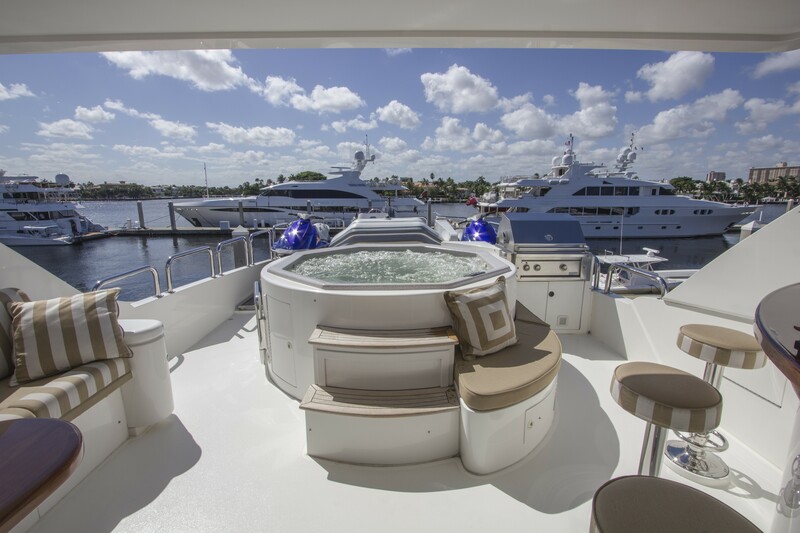 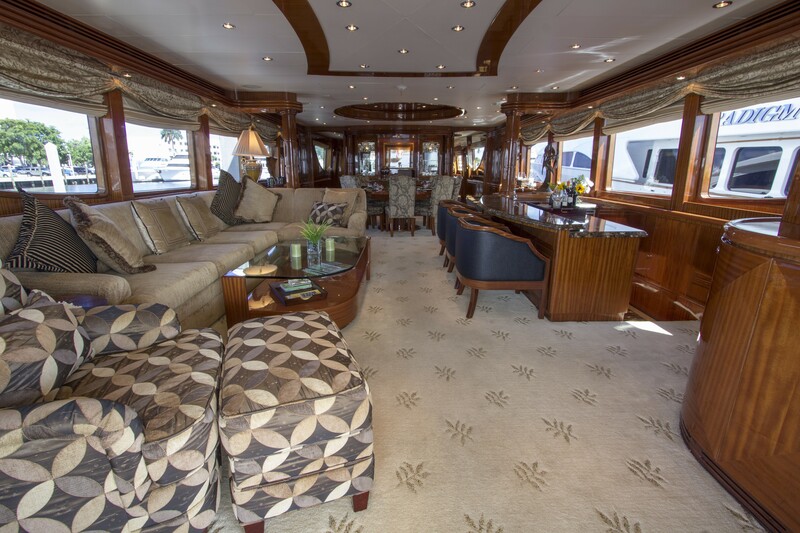 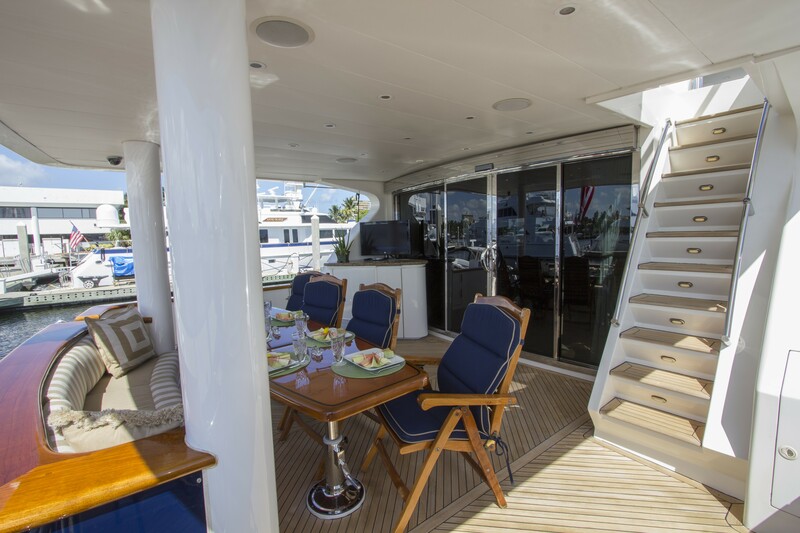 Luxury motor yacht LIMITLESS provides yacht charter accommodation for up to8 guests in the following format: Master Stateroom: Below Amidship: Walk-around 7’ long King Bed; His & her heads separated by the Spa Pool Tub and the shower/steam room. 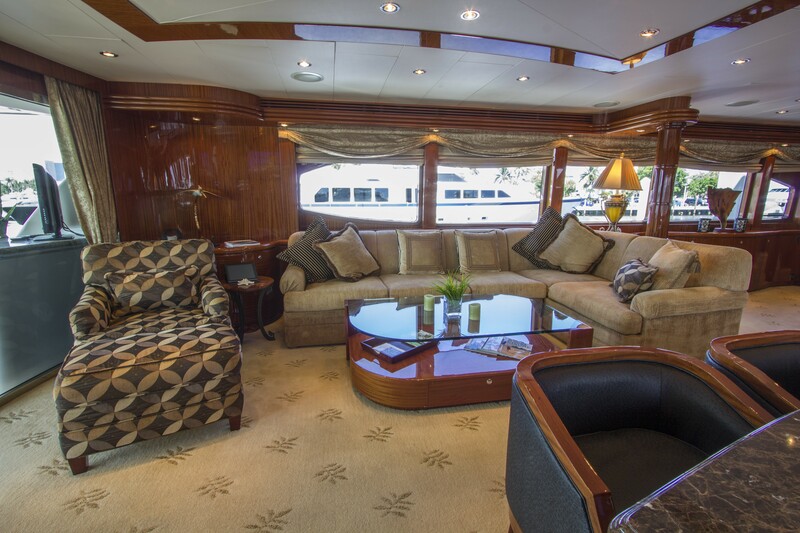 Settee, ample closet space with safe, Entertainment Center with 30” Plasma TV/DVD player & Crestron DSS system throughout. 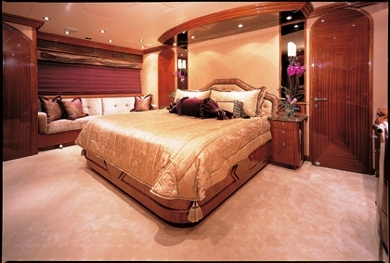 Guest Stateroom: Forward: Queen Bed, en-suite head with shower; 20” flat screen TV with Crestron DSS system. 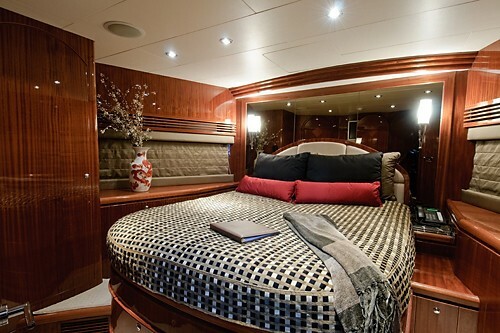 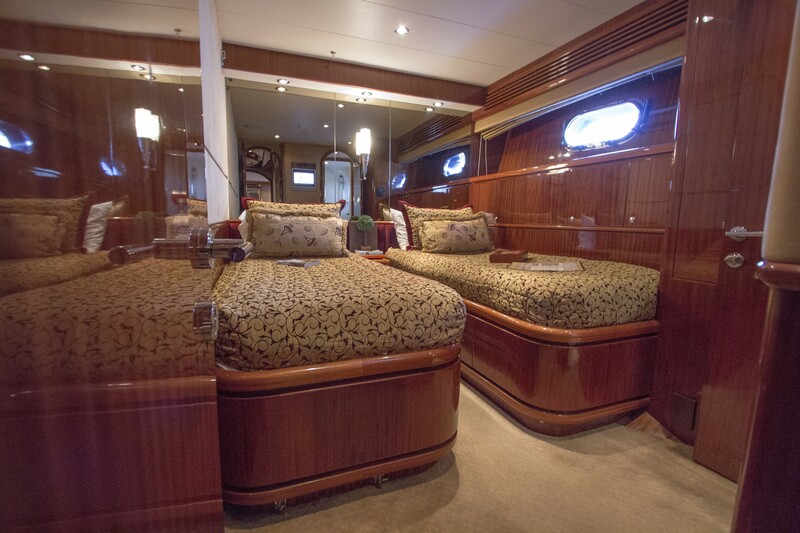 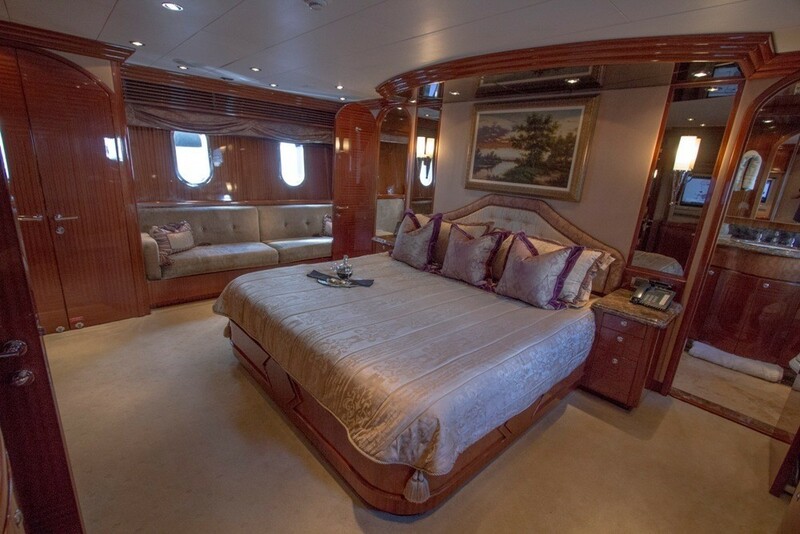 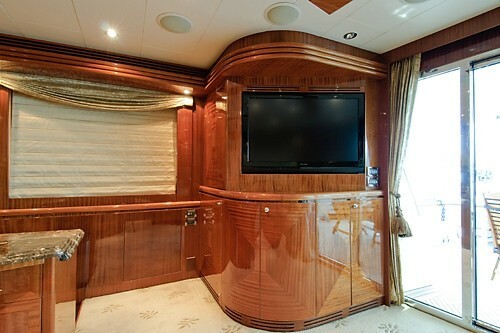 Guest Stateroom: Below Amidship Starboard: Queen bed, en-suite head with shower; 15” flat screen TV with Crestron DSS system. 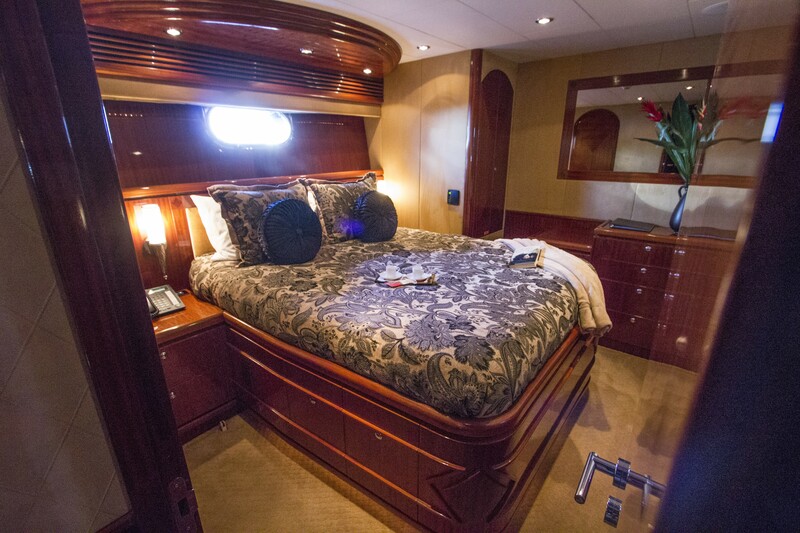 Guest Stateroom: Below Amidship Port: Twin Beds that convert to a double with a Pullman, en-suite head with shower; 15” flat screen TV with Crestron DSS system. 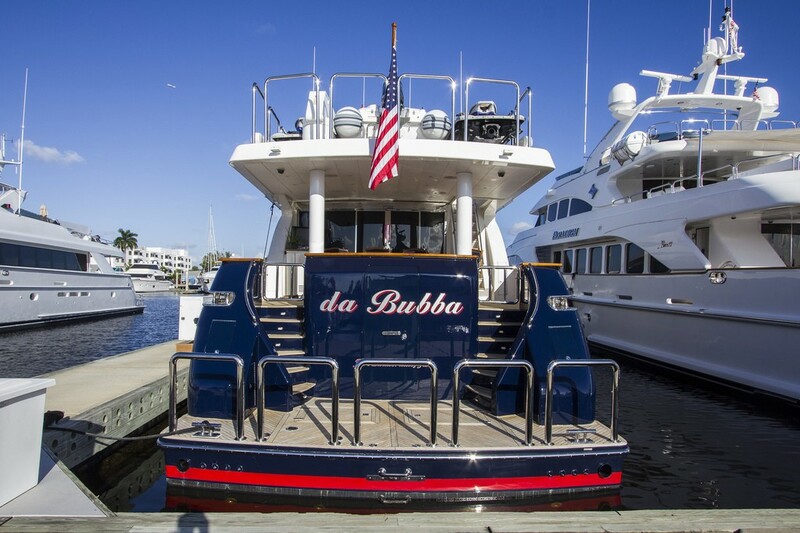 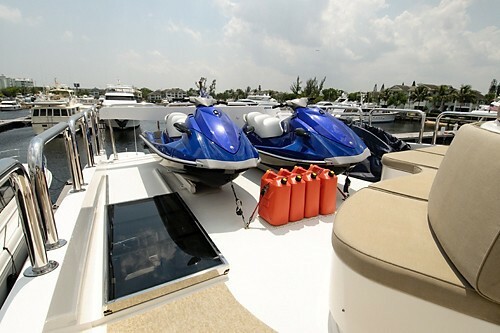 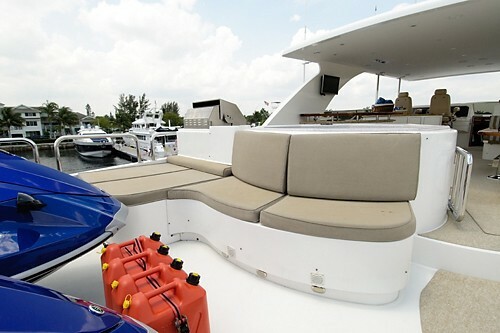 Luxury motor yacht LIMITLESS (ex da BUBBA, KATINA) offers the following water toys and amenities for your luxury yacht charter vacation: Tenders & Toys 27’ Seahunt center console tender BBQ Grill Beach Toys (2) Seadoo 3 pax waverunners Spa Pool Fishing Gear Snorkel Gear Water-ski’s Tow Tube Knee Board Wakeboard. 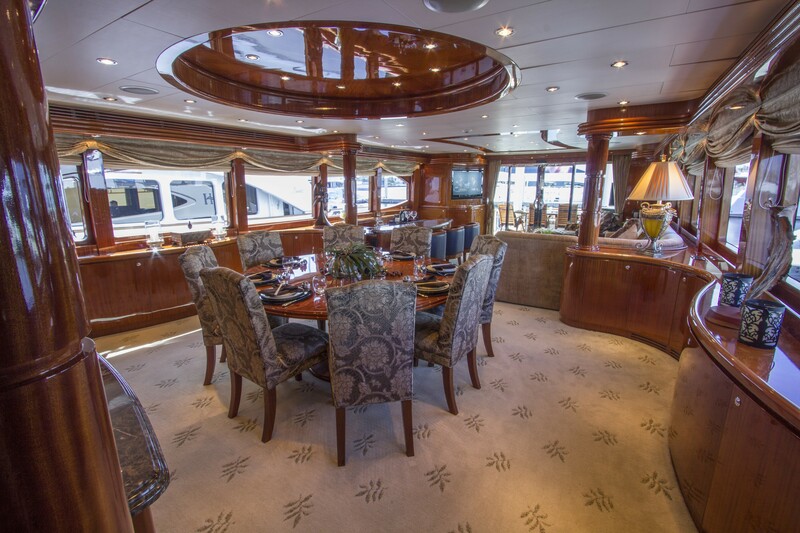 Audio Visual Equipment and Deck Facilities Crestron DSS System throughout Audio Library & Video Library TV/DVD/CD throughout 11 x DSS receivers: Salon, Aft deck, flybridge Speakers on all decks and in all cabins and all staterooms - (Dedicated, not modulated) Karaoke entertainment system with 2 wireless Microphones. 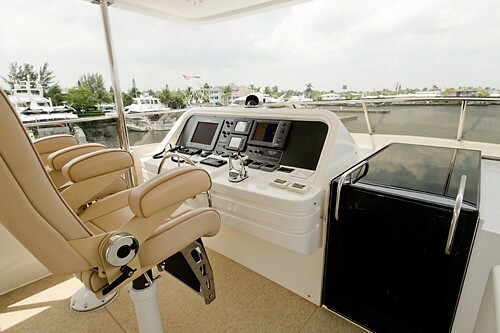 Communications Fax Machine Panasonic Phone System onboard Sat Phone (2) VHF (4) VHF Handheld radios Sat TV Internet Access.